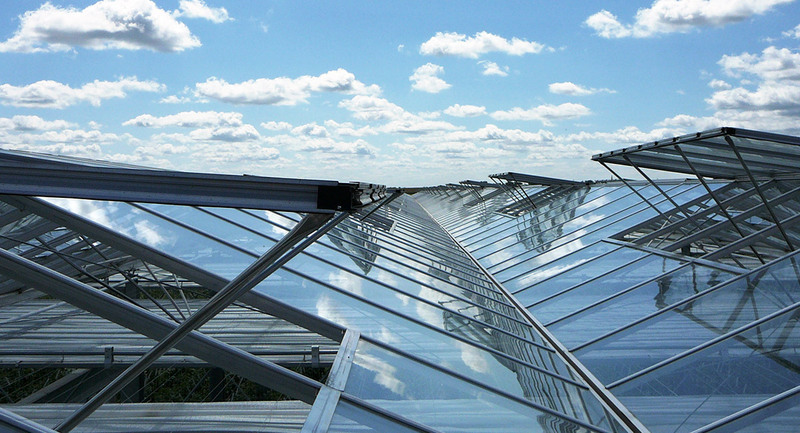 As you’ll know, proper glass is hugely important in greenhouse horticulture. But is the glass in your business good for cultivation? Or is the glass supplied during construction the glass that you actually ordered and the type you require? Research into the light transmission of your glass can provide the answer. Reliably and precisely measuring the light transmission of glass is not a straightforward process. For this reason, we use a unique glass measurement globe, developed and tested in cooperation with the Wageningen University and Research (WUR) and TNO. This piece of equipment can carry out various types of measurement to the glass that may yield interesting results and have an impact on the intended effect of the cultivation’s light transmission. This perpendicular measurement is standardised by the NEN2675 and has been used for years to measure flat glass. To get a measurement of your glass sample that is as accurate as possible, it will be repeated several times and you will then receive the results in the form of a graph. A measuring method also using by WUR; hemispherical transmission. This determines the practical usefulness of the glass by charting the arc of the sun as it passes over the glass. The sunlight shines over the glass throughout the day, meaning it will reach different corners of the greenhouse. The factor is the extent to which the light is distributed into the greenhouse by the glass. The higher this factor, the more the glass distributes the light. The ultraviolet light (UV) is allowed to permeate in limited quantities by standard horticultural glass. But for some cultivations, it is better to use glass that allows more UV to permeate. To carry out this glass measurement, we use another measuring device with small glass samples. The transmission curve is equated with that of the standard horticultural glass so that you can make a proper comparison. Would you like to arrange a glass measurement? The light transmission in your greenhouse determines the light level to a high extent. More light generally results in a higher yield. Would you like to find out how the lighting in your greenhouse works? Or perhaps you’re wondering whether the current light transmission conforms with the agreements made with the supplier? If so, ask us for a glass measurement and you can expect a clear, well-founded answer. We carry out glass measurements at attractive prices.